MS - BerkelBike - What can BerkelBike mean for you? what CAN the BERKELBIKE offer to people with MS? It is particularly difficult for people with multiple sclerosis (MS) to stay fit and keep their muscles flexible and healthy. MS causes muscle weakness, balance problems, a lack of energy and a reduced function of the musculoskeletal system. This translates to difficulties with walking and cycling. 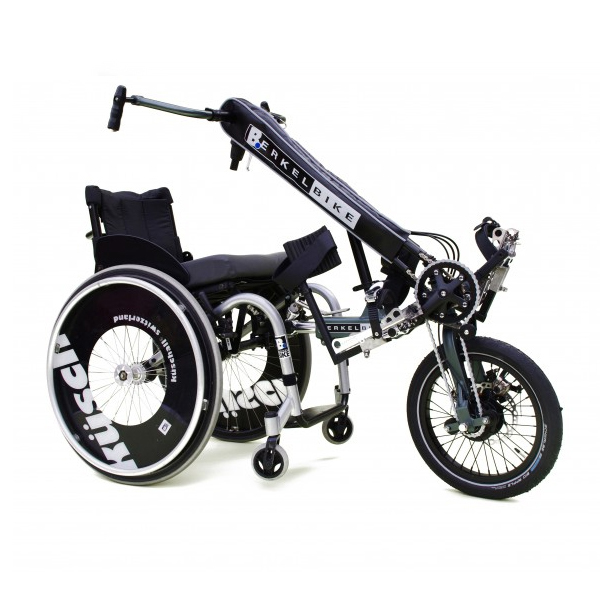 The BerkelBike has been developed keeping in mind these challenges and offers people with MS the option to bike and train their muscles in a comfortable way. The BerkelBike offers a great way to stay fit by enabling people with MS to go outside and exercise regularly and independently. 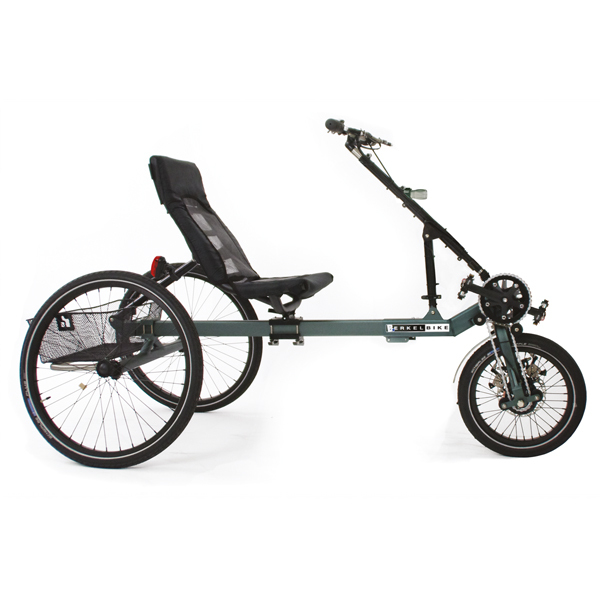 The trike is designed so that cycling is comfortable and allows people with disabilities to be mobile and increase their fitness. Those who exercise regularly and are physically fit suffer from fewer and smaller lesions. 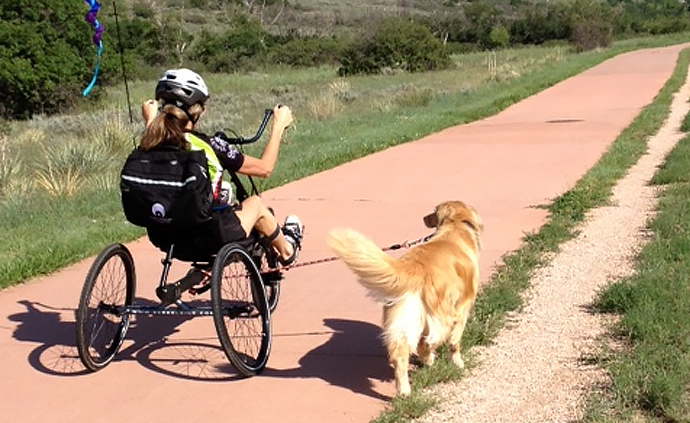 Additionally, research has shown that people who are more fit perform better in testing cognitive functions that measure processing speed; aerobic fitness appears to have a protective effect on the parts of the brain most affected by MS.
How does the BerkelBike work? 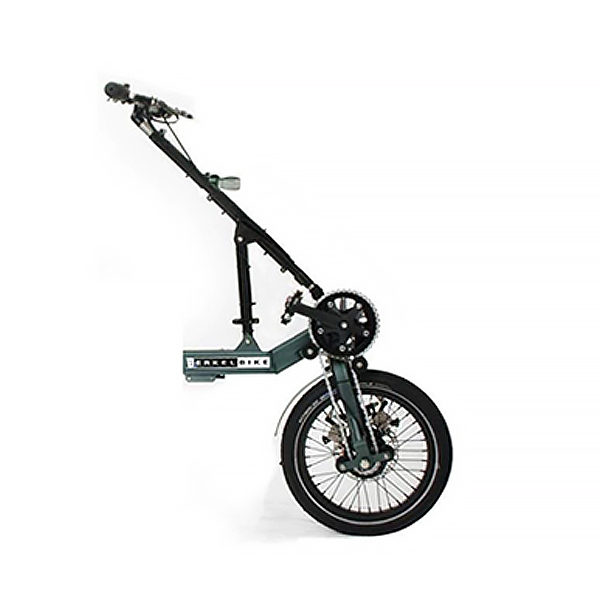 The BerkelBike combines arm and the leg movements to power the bike; the arm pieces are connected through a chain to the leg parts. This is beneficial since the locomotive functions of the arms are usually better than those of the legs for people with MS. The connection with the arms relieves the pressure on the legs and provides an extra energy boost. 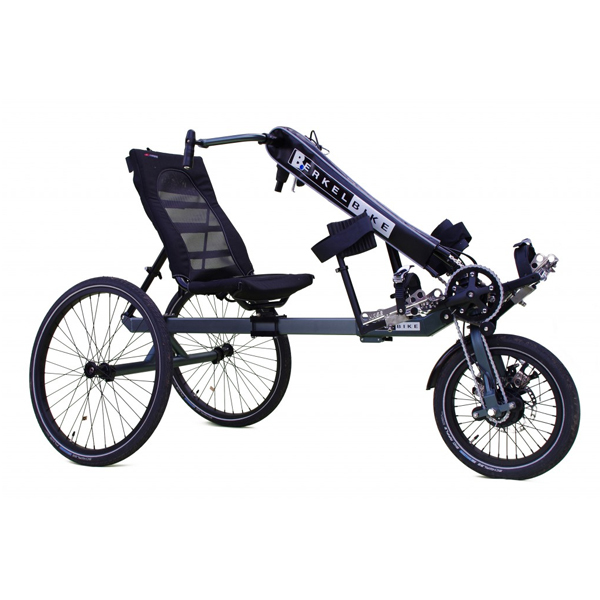 The design of the trike ensures enough balance and the combination of arm and leg movement makes cycling on the BerkelBike comfortable and enables it to be used in therapy. Ready to get fit? Schedule a free test ride!